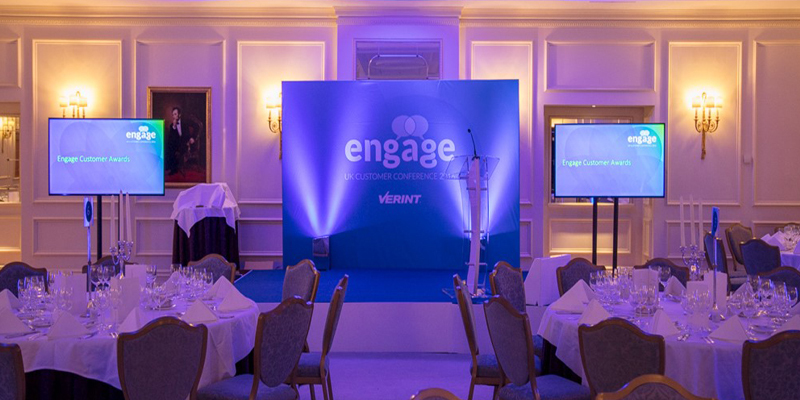 This was the 2016, annual Engage UK event which brings together users of Verint’s products and services. 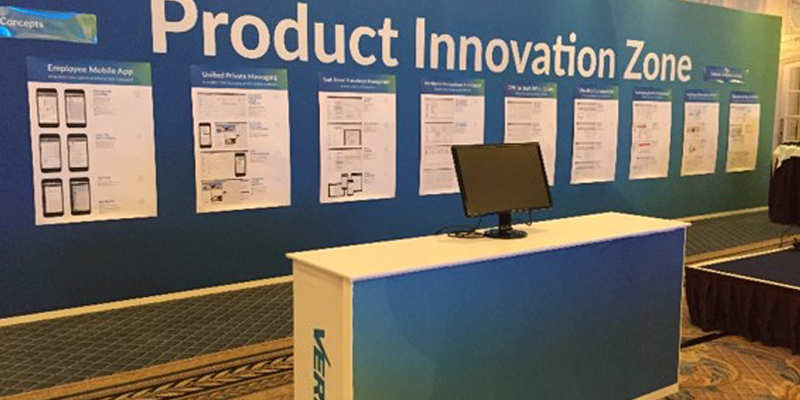 We worked with Verint on the 2015 events and were thrilled to be retained to work on their 2016 events again. 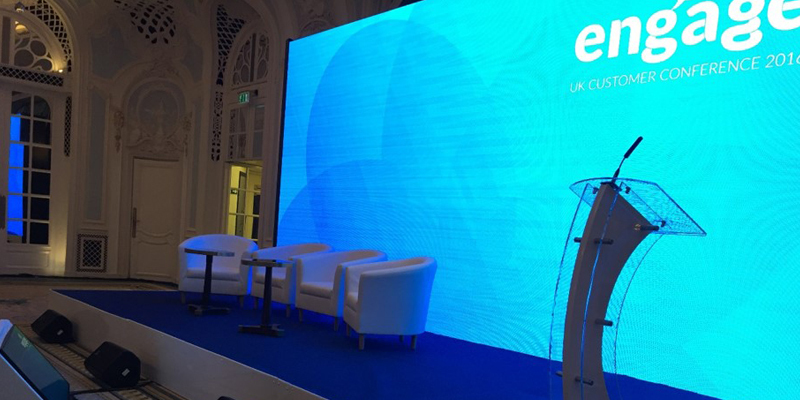 The UK conference was held at The Savoy Hotel, London. 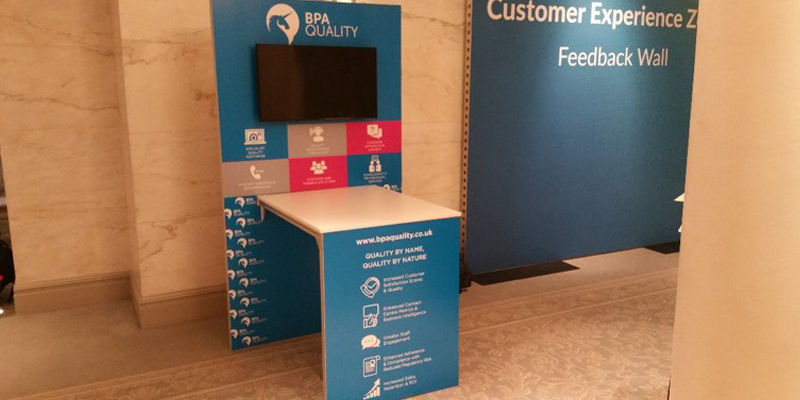 Exhibition: 12 x Custom built expo stand each with printed graphics, integrated table, 2 x bar stools, 32″ display screen, power. 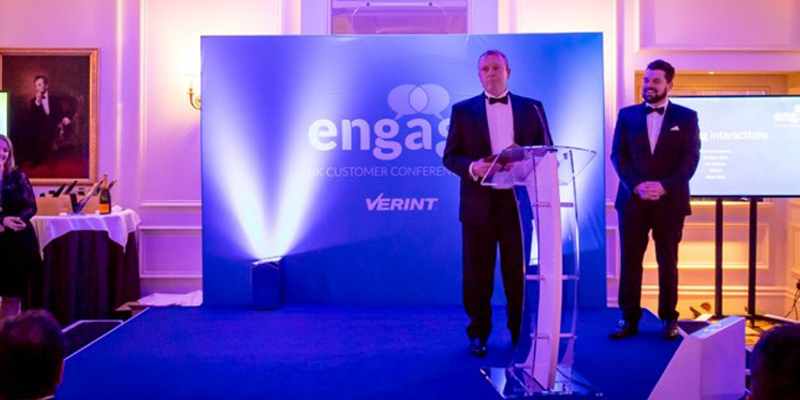 Awards dinner: PA system, graphic backdrop, lectern, 2 x 65″‘screens. Wireless LED up lighters. 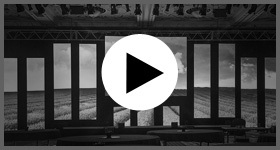 We were able to access the venue the day before, therefore we began set up a 12pm running through to 2am, as some breakouts rooms were not available till midnight. Running at the same time as the set up was the Awards Dinner in the main hall. 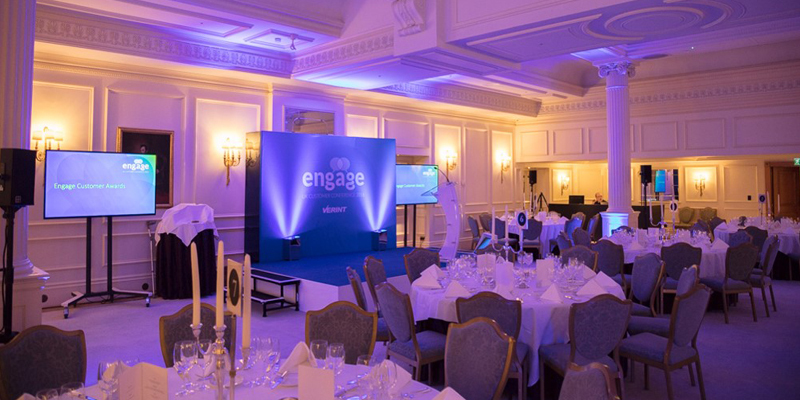 The de-rig was carried out the evening after the event had finished, all equipment was removed and the venue was clear by 10pm, 2 hours ahead of our allotted time. Working in the Savoy is always a challenge with busy access roads and rooms spread all over the building on different floors. Due to the length of the rig we provided 2 project manager working with 2 teams of technicians and crew that overlapped/were staggered through the rig day. At one time we had over 38 staff working on site.